This recipe is super easy and could be a frozen drink or a frozen dessert, depending on how much liquid you use in the recipe. 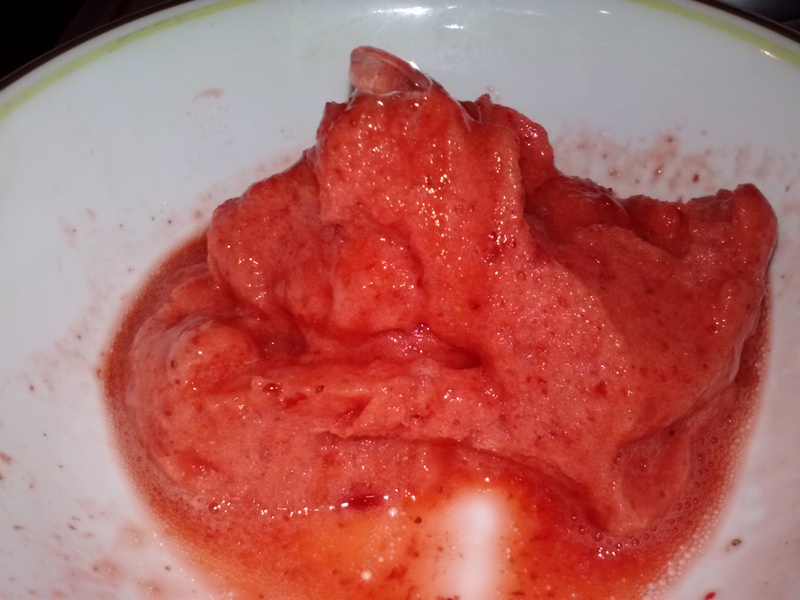 I squeezed the juice of one lemon, and blended it with half a cup of frozen strawberries and about six ice cubes in my food processor. I added about 10 drops of Berry Sweet Leaf Stevia to it, as well as about 10 drops of the Lemon Drop flavor (to taste). Next I used a spatula to scrape it all out into a bowl and enjoyed! If you would like to make it a frozen drink instead of a thick dessert, just add a little water to the mix. The perfect end to a good day of dieting! A few weeks ago, we bought some bananas, but I was on my diet and couldn’t eat them, and my husband wasn’t really in the mood to eat them. They started to turn black when I came across this recipe. It is the most simple thing I have ever seen, and it actually worked out beautifully. All you do is slice up the bananas into 1/4-1/2 inch slices. Then you freeze them. The original recipe has some beautiful pictures, and a great explanation, so maybe go check it out. She froze them flat on a cookie sheet over parchment paper for about two hours. I actually froze them a few weeks ago, and threw them into a plastic freezer bag and just froze them in a big chunk in the freezer. This morning I pulled the bananas out of the freezer, and let them thaw for about 15-20 minutes. 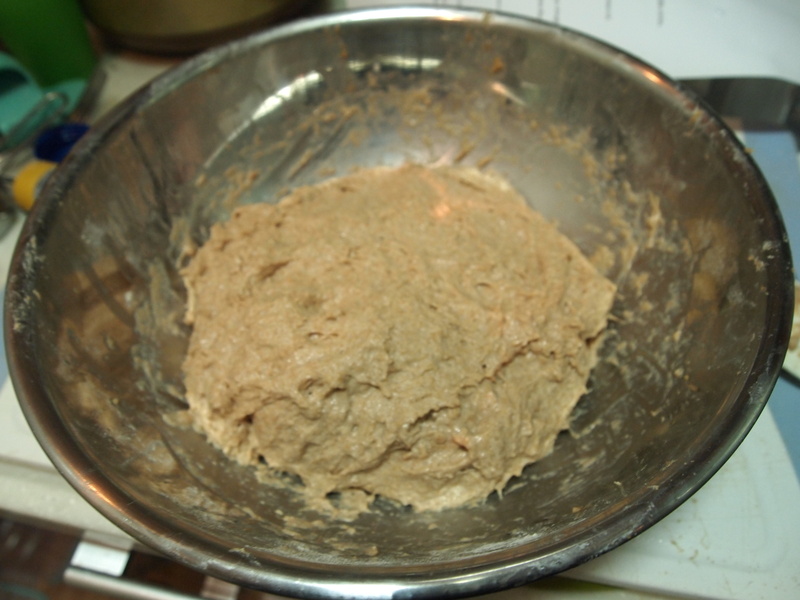 Next I threw 1 cup batches into the food processor and chopped and mixed and blended and stirred until it became smooth. I had about three batches of that, as I had about 5 bananas frozen. Once all the banana is blended, it turns into an amazing creamy ice cream textured ice cream. 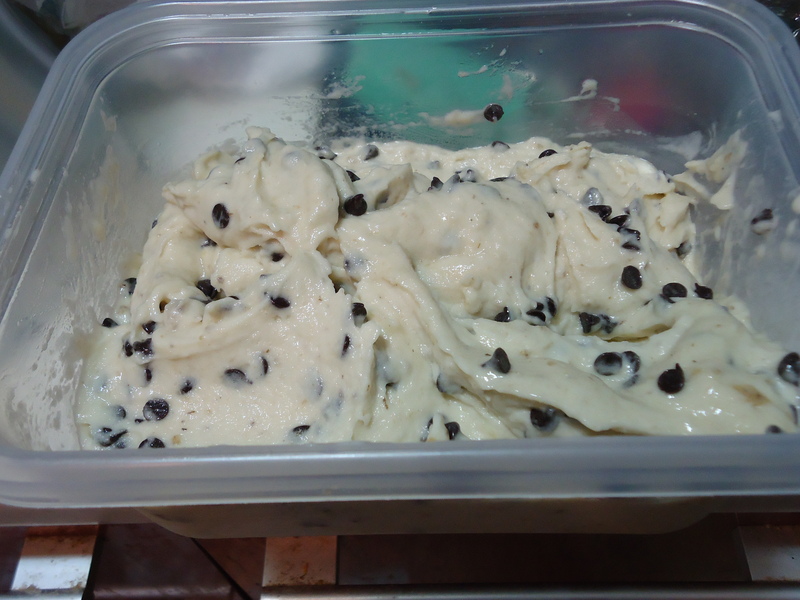 I stirred about 1/3 cup of mini chocolate chips, and threw it back into the freezer. It is important to blend the bananas frozen, so you get this creamy whipped texture, rather than a banana mash, as you might for banana bread. It does not seem to have an overwhelming banana flavor, and hey, for someone who can’t eat eggs, and is allergic to milk, it is a perfect solution (if only I liked bananas more)! This would also be good adding peanut butter, or cocoa powder, etc…any number of add-ins that can be good with banana. I wanted a quick snack last night, while I was up late making my husband’s breakfast sandwiches. I cut an English muffin in half, and spread about a tablespoon of homemade nonfat ricotta cheese over the top. My cheese is really lacking in flavor and salt so I sprinkled a little salt over the top. Next I chopped up some large grape tomatoes and placed them over the cheese. 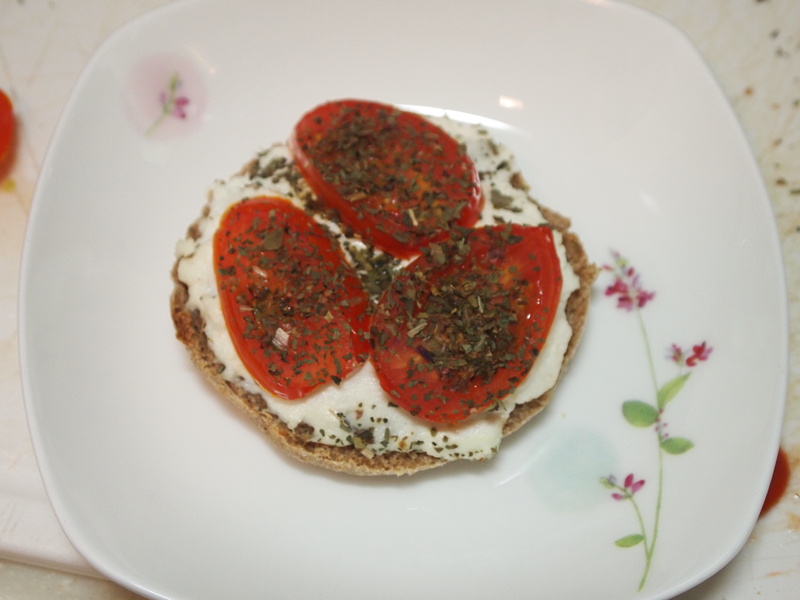 Next I sprinkled the tomatoes and cheese with some dried basil threw it in the toaster oven for several minutes. I kept it in until the tomatoes looked fairly well cooked through. I wanted to get the cheese a little brown and crusty, but I was not patient enough, and had to eat! It was similar to caprese salad, only using non fat ricotta instead of mozzarella. It was a light snack at only three weight watchers plus points! 🙂 I did only eat half of the muffin, and served the other half to my husband prepared the same way. In doing all this baking the past few weeks, I realized that using applesauce instead of oil would take Weight Watchers points off of anything I baked. I started thinking what a wonderful idea that was except for one thing. As far as I know you can’t just go to the store and buy applesauce in Korea. 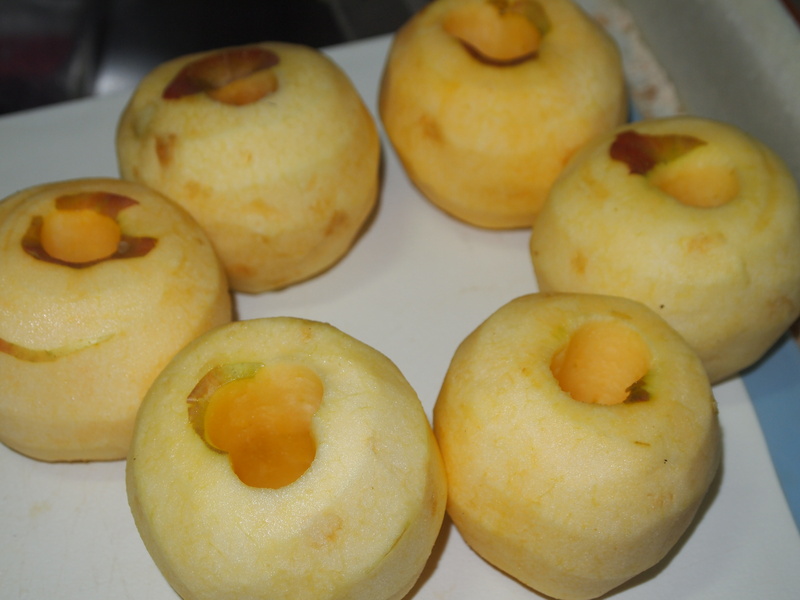 So, since I had some apples laying around my house, I made some. 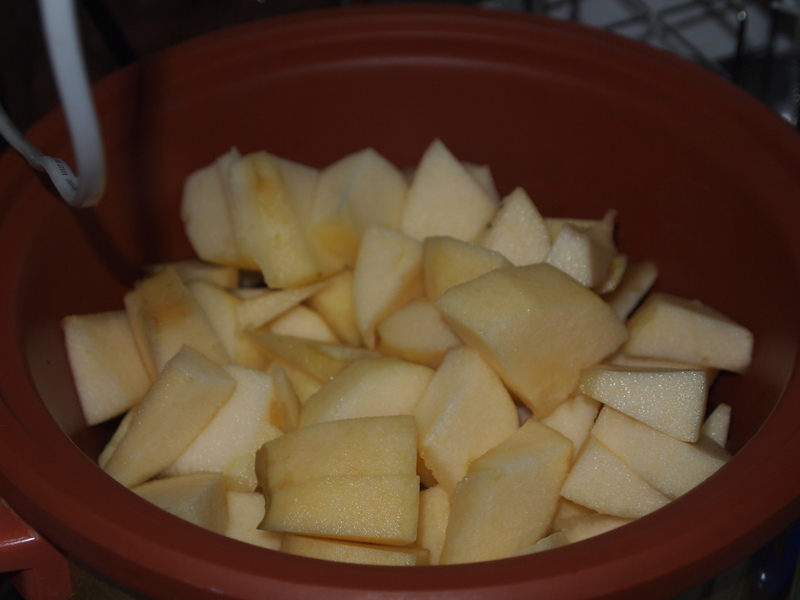 first I peeled and cored six red apples. I have no idea what brand they are though. 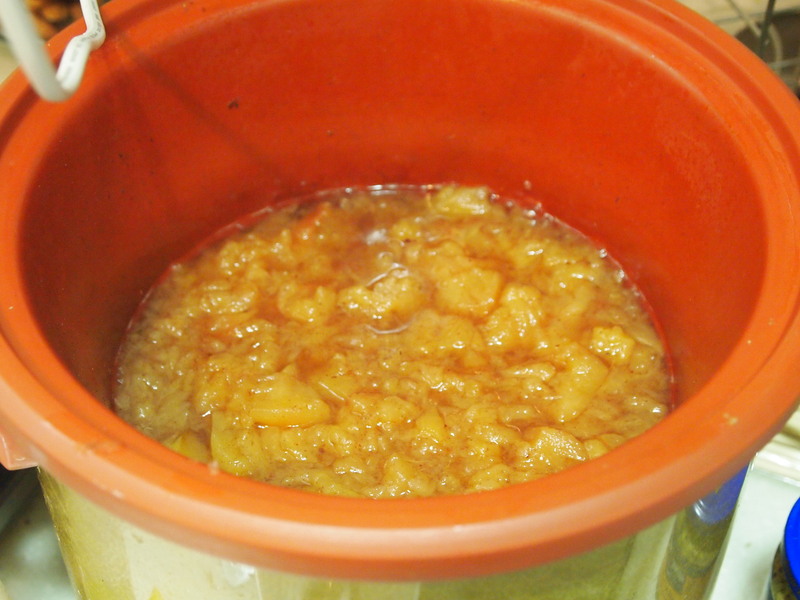 Next I put just enough water in the bottom of the crock pot to cover the bottom, sliced up all the apples and put them into the crock. Next put one tablespoon of cinnamon, one sprinkle of nutmeg, and one sprinkle of allspice, and 1/8 tablespoon of vanilla into it. Then I closed the lid, turned it on to high, and let it simmer for 4-5 hours. It is a little watery, but the texture is really good. I am hoping if I cook it a little longer without the lid on, it will get a little thicker. It is not sweetened, but honestly it does not need it. It is sweet and delicious. Last week in my gusto to make a heathy protein filled grab and go breakfast for my husband, I made him some chocolate peanut butter banana muffins with chocolate protein powder. However, on Weight Watchers, although it was a good healthy and filling breakfast, it was not very nice on the plus points scale. Each individual muffin was 11 points. I lost ten lbs in the last week and a half eating a 4 point breakfast smoothie every day, and getting more good stuff in my day than just chocolate peanut butter and bananas, so I decided to check out another solution for Jeremy. I think I found his breakfast for a while. Last night I made a set of breakfast for the week, that I can just freeze, and he can grab, zap in the microwave for 2 minutes from it’s frozen state, and enjoy. In the USA Jeremy and I loved McDonald’s breakfast sandwiches. They were quick, nice and salty, and we liked the taste. However, we all know they are very fatty, and yes, have an heir of grossness to them. This week, I started googling low carb, high protein breakfasts, and of course lots of eggs came up. I can’t eat eggs, so the thought of cooking with them just does not really occur to me, but my husband enjoys them. 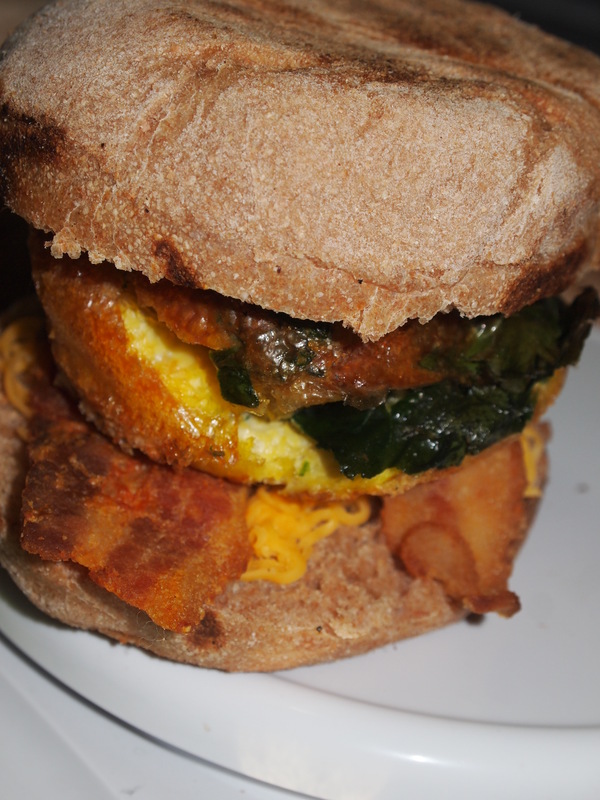 So, I started thinking about breakfast sandwiches. I googled how to cook an egg for a breakfast sandwich, because I really had no idea to get that round perfect shape. 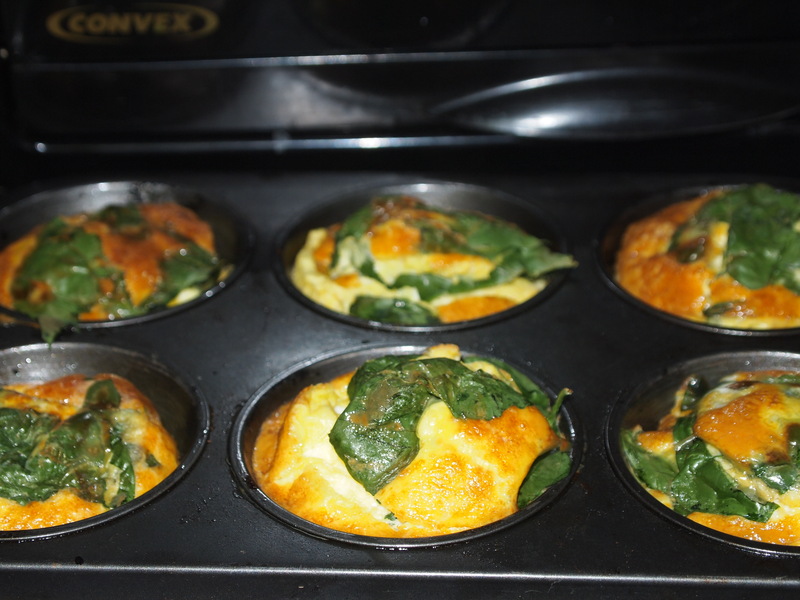 I came up with a genious idea on the Macheesmo blog about baking your eggs in muffin tins to get nice even round muffins. Then I clicked on her re-visited version, and saw the scrambled with spinach version. I asked Jeremy which he prefered, and he said the scrambled with spinach, and asked if I could throw in a little tobasco. 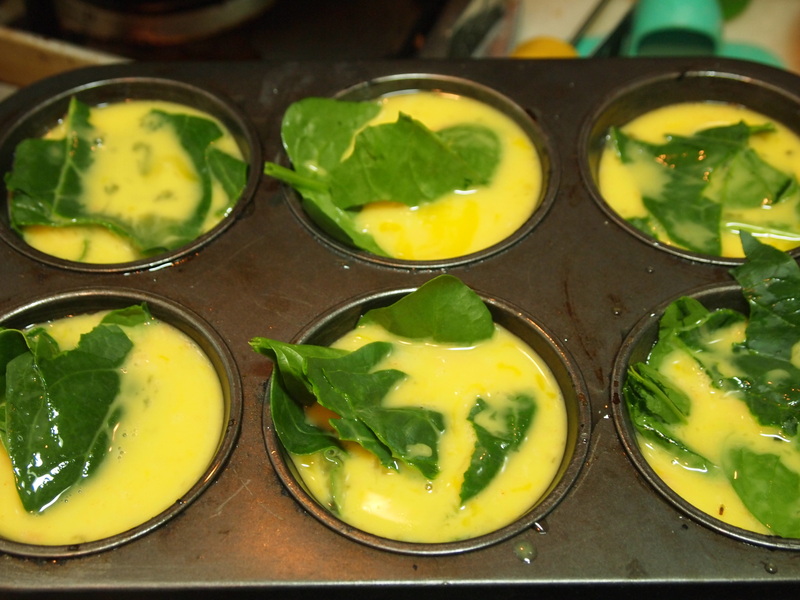 So, that is what I did when I baked the eggs in the muffin tins. 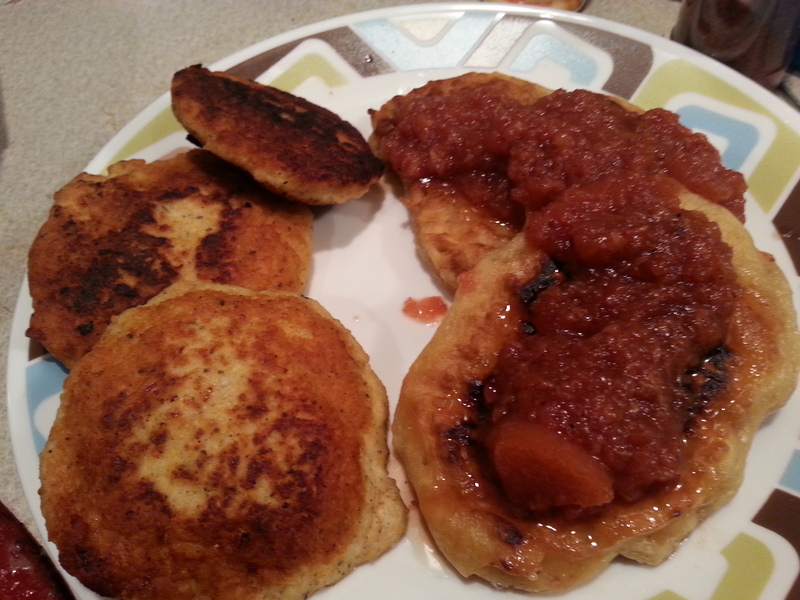 I was surprised they puffed up as much as they did, but then they deflated a bit while cooling. I don’t know if the brown, kinda crusty top means I cooked them too long, but I was watching them carefully and this is about the point they were no longer runny in the center. Next I cooked up the bacon. Instead of using my frying pan like I usually do, I decided to use my grill pan, since I needed it out in a little while anyway and I can cook more at once on the pan, and not so much in their own grease as I would in a frying pan (don’t know why I didn’t think of that sooner!). 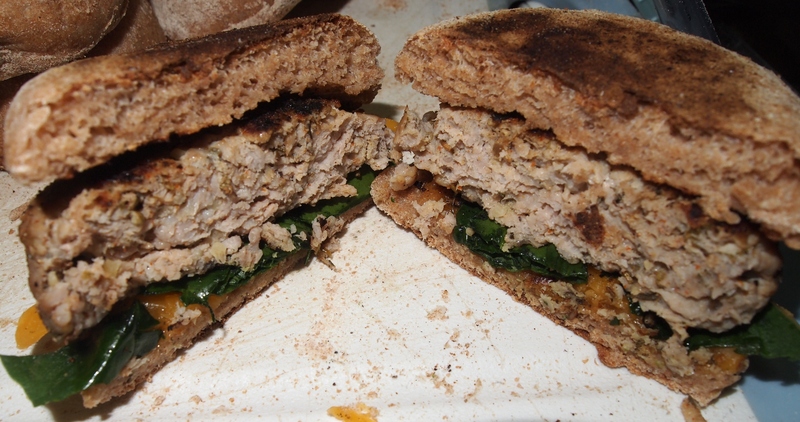 I cut the strips in half to cook them, so they could just come out of the pan and onto the sandwich. Once the bacon was done, I got started on the English muffins. The process for these were not what I expected, nor did I expect nearly how long they would take to make! 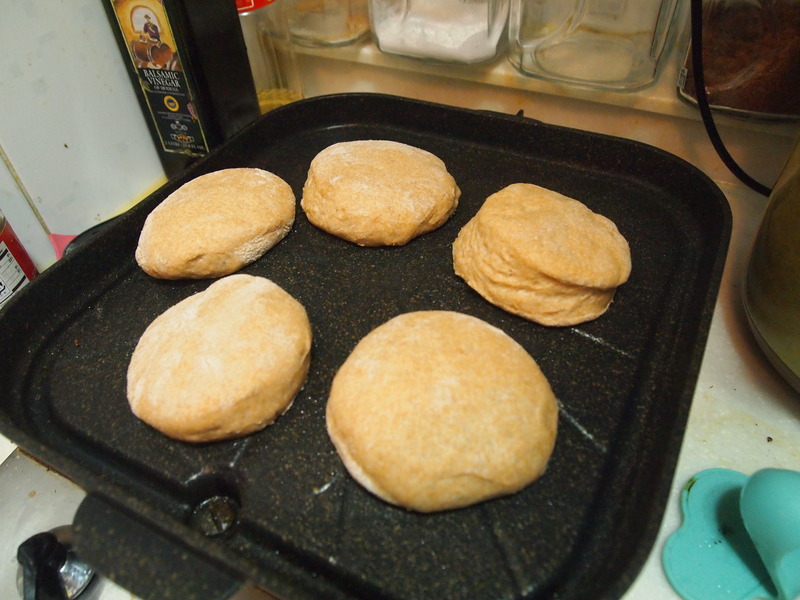 What I expected was an easy standard bread dough, that you maybe flip over half way through baking to get the grilled look on both sides…nope, you actually bake them stove top, like a pancake! I found the recipe I used at foodiesarsenal.com with the substitution of whole wheat flour instead. I was very shocked that you don’t make a basic dough, but rather a very thick and sticky better that eventually thickens up a little bit. 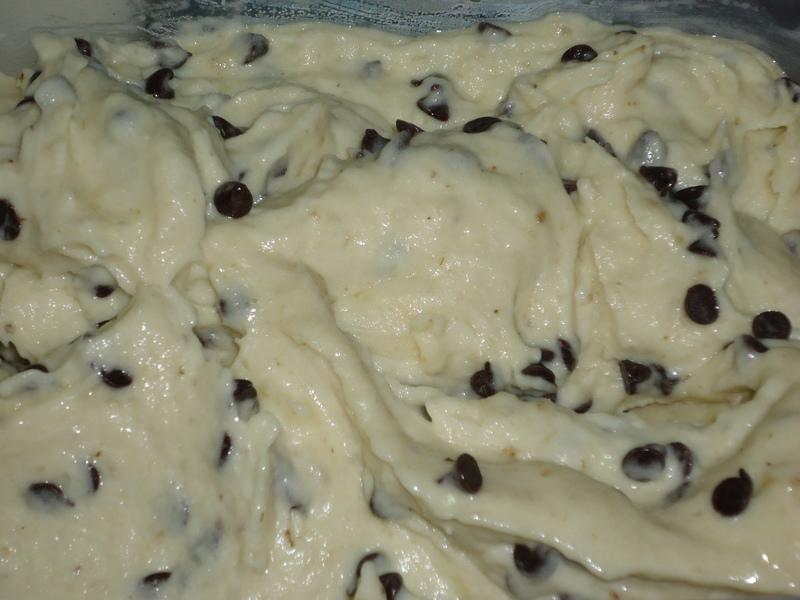 After mixing, and pulling and folding a few times, I used the oven which I had previously warmed up, to let the dough rise, it doubled in maybe 45 minutes instead of an hour. Then on a well floured board (I think I was supposed to use corn meal for this, but flour worked fine), I dumped out my dough, and floured the top. then I gently rolled them out to about maybe 1/2 -2/3 inch, and cut them using my 1 cup measuring cup because it was the closest thing I had to the right size. 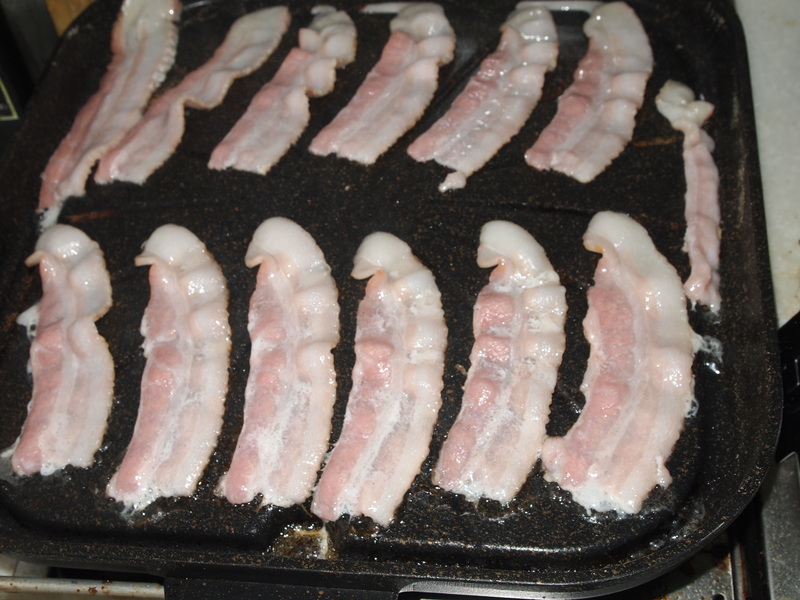 Next I let them raise for another half hour, and turned on the griddle pan to a medium flame. Once the first side is golden brown, you flip it over and cook the other side In my case, I only have a flame over the front half of the pan, so the back is a good place to put them to finish baking all the way through while you add some new ones to the front side. This recipe made about 16 muffins. They turned out really tasty! They were light and fluffy, and have all the air holes I remember from traditional English muffins. 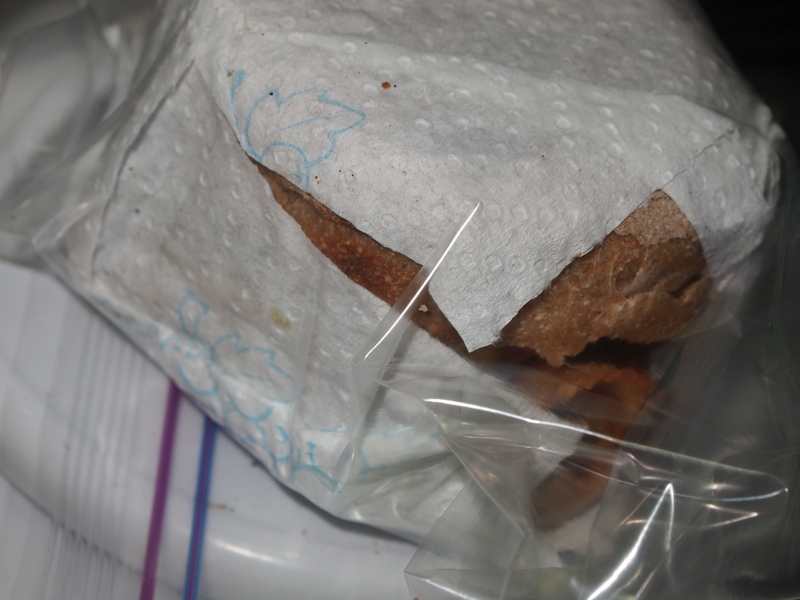 Since I don’t eat eggs like my husband, and I love these sandwiches too, I held a little homemade sausage, for a few patties so I could enjoy my sandwiches myself.